Hi and welcome to your local Visalia carpet cleaning service. "We diligently serve the home owners and business owners in our local community with with superior carpet, tile, Pebble-Tec, vinyl, and wood floor cleaning and restoration". ...except maybe dingy, stained, STINKY carpets. Not only can carpets start to look and smell filthy after a while but they can also become very unhealthy. As they collect more and more dust and other sediments they can begin to grow bacteria and fungi. All this filth can cause asthma complications and other negative health issues. So, please let us serve you. We would love the opportunity to clean and deodorize your carpets. Get your carpet cleaned today for as low as $25 per room! Safe and effective cleaning solutions. Emergency water extraction and flood dry outs. Tile, Wood, Pebble-Tec, and Vinyl Floor Cleaning. And Great Prices Too. Ask About Our Special Low Pricing. Our Visalia carpet cleaning company provides the latest technological advances and cleaning techniques. We clean your carpet with state-of-the-art machinery and equipment. We use the latest advancements in safe and effective cleaning solutions. 1. We arrive fast. We can usually get to you and clean your carpets within 24 hours. 2. Our technicians are friendly and professional. 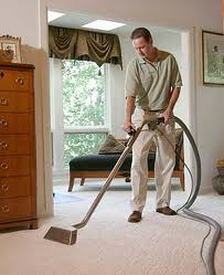 We only hire the absolute finest and expertly trained carpet cleaning technicians in Visalia, CA. Ready to get your carpet cleaned? 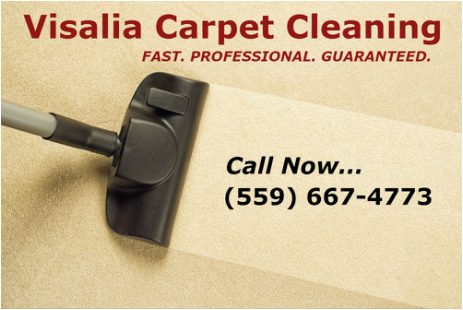 Call us now for our professional Visalia carpet cleaner service. We will do everything in our power to give you excellent service and sparkling clean carpets in a speedy and expertly fashion. Visalia Carpet Cleaning is the premier carpet cleaner in central California. We also proudly serve Porterville, Tulare, Hanford, Kingsburg, Dinuba, Lemoore, Delano and all of the Central Valley. So, regardless of your location we can serve you anywhere in the immediate area. Not sure if you're in our service area? Call us! We're always ready to lend a helping hand and answer your questions. Expert technicians. Our technicians are professionally trained and take pride in their service and in their carpet cleaning tasks. State of the art equipment. Our equipment is top notch. We only use the most effective and safe-to-your-carpet machines and tools. Safe and effective cleaning solutions. Our solutions used for spot treatment and tough stains are safe enough to use around pets and children. And yet they're also effective enough to get out the toughest ground-in staining. You got tough stains? We can get them out! We are prompt and complete the job quickly. Our Visalia carpet cleaning service is locally owned. We're your neighbors! Free estimates and information. Just call! Licensed and insured for your protection and confidence. We are also Visalia's premier flood dry out and water extraction company. If you've had any plumbing problems or leaking roofs recently and need water removed from your carpets and walls, we'll get the water out! We get there and get the work done fast! We're happy to work on the weekends and are available 24 hours a day for emergency services. Happy to be your carpet cleaning company and carpet cleaner service in Visalia, Tulare, Hanford, Lemoore, Dinuba, Kingsburg, Delano, Porterville, and beyond.